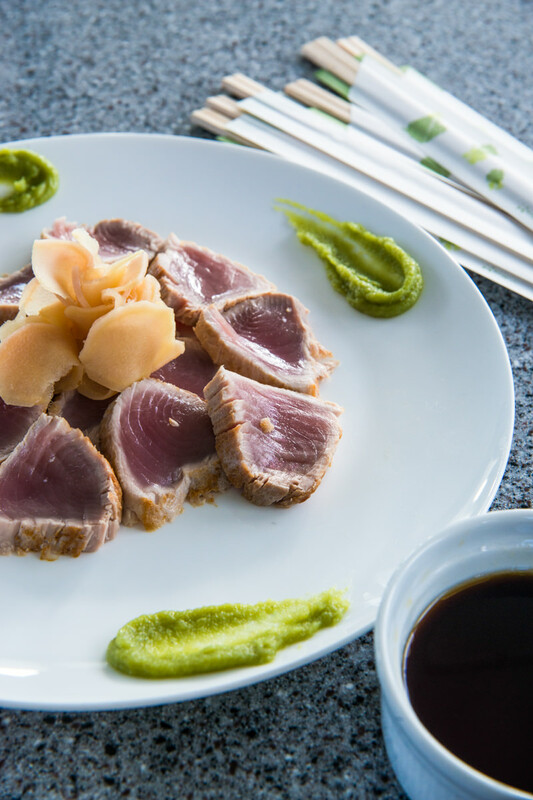 You’ll find that the cruise is a delightfully indulgent culinary experience. 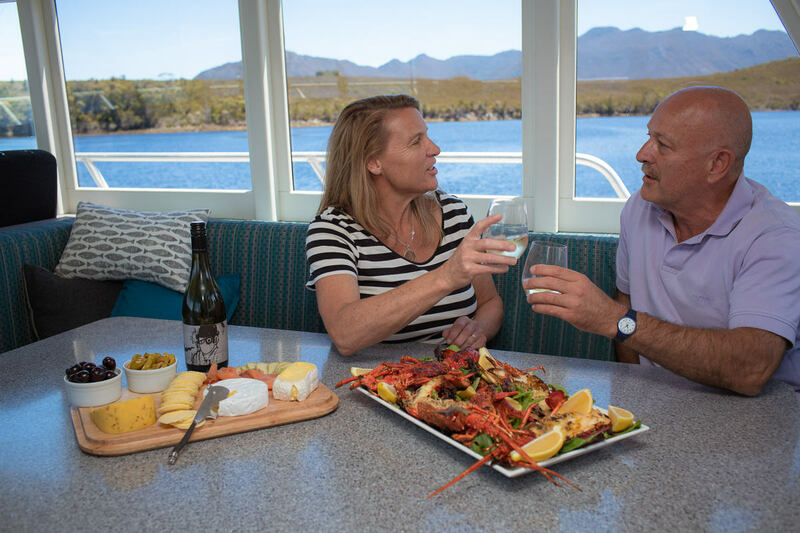 The sea air certainly sharpens appetites and as you dine in your own private floating restaurant, you’ll savour cool-climate Tasmanian wines and fine gourmet fare prepared by the Odalisque’s personal chefs. Our chefs, usually borrowed from one of the Hobart’s big name restaurants, do amazing things with fresh Tasmanian produce, prepare perfect picnics and pull freshly-baked cookies out of the oven just as hungry hikers climb back on board after a morning trek. Menus are designed based on our chefs’ own experience, passion and seasonality, and regular feature two- and three-course meals with platters of smoked meats and artisan cheeses from some of Tassie’s most celebrated smokehouses and dairies, just-caught seafood, Tasmanian beef and other regional produce. We run an open kitchen and our chefs prepare prepare meals in front of our guests’ eyes. Questions are welcome! At mealtime, it’s not unusual for the chef to explain exactly where the food has been sourced from (often the local market!) and why they have chosen certain ingredients. There’s a good coffee machine on board to kick start the mornings and breakfasts are served hot. Toast the sunset in the evening with a beverage from our onboard bar. The wine list has been crafted by well-known Tasmanian wine aficionado Phil Laing. Phil is the chair of the Tasmanian Wine Show and the author of multiple wine books including Tasmanian Wines. Our all Tasmanian wine lists includes elegant cool climate wines such as Pinot Noir, sparkling wines, Riesling, Chardonnay, Sauvignon Blanc, Cabernet Sauvignon and Pinot Gris. Tasmania enjoys a national and international reputation as a leading producer of some of Australia’s premium wines so guests can look forward to enjoying some top wines while relaxing aboard Odalisque. The onboard bar also features tap beer from local producer Moo Brew (Tassie’s famous craft beer), local cider and a selection of boutique spirits including Tasmanian-distilled whiskey, gin and vodka. All house wines and tap beer are included in guests’ packages. Premium wines, spirits and other alcoholic beverages can be purchased while onboard. Discover Tasmania’s spectacular World Heritage Area & the Port Davey Marine Reserve. Explore with people who know this wilderness intimately. Find our more about your expert guide and skipper. Expedition cruising through Southwest Tasmania’s pristine waterways and rugged coastline. Our itineraries are fluid, moulded by wind and weather, time and tide and the interests of our individual guests.